CANactions provide translation and publishing the Ukrainian version of "Four Walls and a Roof" by Reinier de Graaf is an architect, partner in OMA and director of AMO, a research and design studio, author of many world-renowned architectural projects and a winner of numerous international competitions. 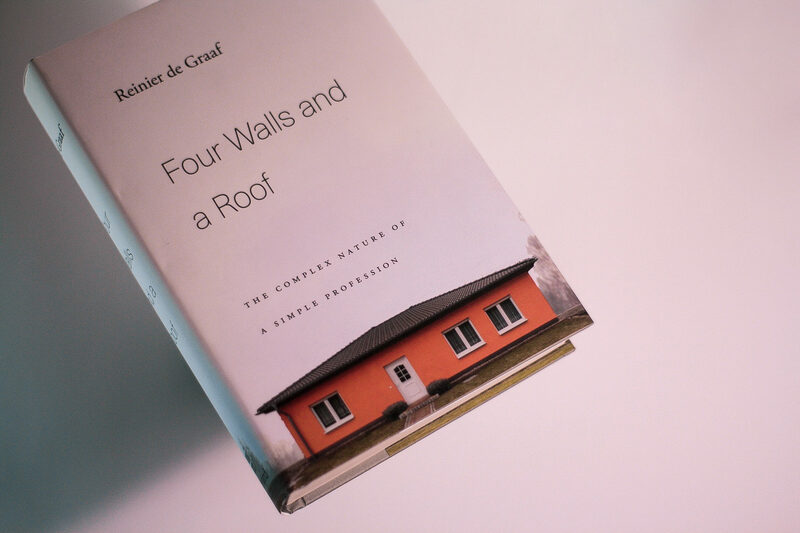 "Four Walls and a Roof" is the latest book by Reinier de Graaf, that is why it attracts special attention and interest from readers from all over the world. Although the book was released in 2017, it has already managed to become a bestseller and is often debated and quoted in the professional world community. We are proud that for the first time in the world "Four Walls and Roof" will be translated in Ukrainian. In the book, the author reflects on the history and nature of the profession of the architect, considering the external and individual factors affecting it, and eventually concludes that under the constant world revolutions the basis of architecture — four walls and a roof — remains unchanged. Reinier de Graaf draws an honest picture of what today means to be an architect, telling interesting stories from his practice and routine work of the famous office. The book consists of the bright, uncompromising stories written with humor, which at the same time strike their depth and encourage reflection. National Architectural Open Project Competition "Youth Competition 2019"